Many years ago a date told me that I was not a romantic person. I wasn’t amused, but I knew he was right. (He asked for a puppy on our third date and I said no.) I suspect my friends secretly appreciate that I am not romantic, too – I’ve told them no gifts for my birthday, just show up for dinner and cake, and also no Christmas gift exchanges, etc. (Yes, I consider this a sort of romanticism.) I also told my partner no need for tall roses on Valentines for the cat will knock the vase down. (But I do buy him gifts; I am not a cheapo and/or heartless person.) Now that I have confessed, I might as well tell you that I tested my Frederic Malle samples while sitting in a loo. Three years ago when my niche perfume obsession had just begun, I didn’t know much, except department stores would not give out samples unless you bought a bottle. I ordered my Frederic Malle samples from eBay, and strangely they were shipped from Poland. Anyway, I was too excited when I received them in the mail, but suddenly I needed to use the washroom, and I took the samples there with me to test. Frederic Malle should take this as a compliment, for I was so eager to test them. To tell you the truth, at that time, I didn’t find any FM samples particularly impressive, or I should say, they didn’t blow my mind, and it had nothing to do with the aura inside the bathroom. There were some samples that I found interesting, but the one that left me with a strong impression was Iris Poudre. “Wow, this is so granny and simple. It’s just iris and baby powder. It’s nice, but I can never wear this.” I put it back in the bubble envelope. In fact, after three years of buying countless perfumes and samples, I still have not forgotten Iris Poudre. It is still “granny smelling” to me, but I have never encountered an iris perfume as beautiful and as straightforward as Iris Poudre. When I say straightforward, I mean there is no mistake that iris is the star of the perfume. To me, Iris Poudre would be a heavy floral if the perfumer didn’t add a hefty dose of aldehyde in it. Powdery amber, musks, carnation, rose, ylang, vanilla, sandalwood, they are all beautiful and sensual, Victorian-esque, decked-up-doll-face-feminine and rich. But with citrus and aldehyde, the perfume suddenly smells airy and atmospheric, like giving life and airiness to some dull egg white by whisking it vigorously. In retrospect, I don’t enjoy Frederic Malle as much possibly due to the fact that I am not romantic. 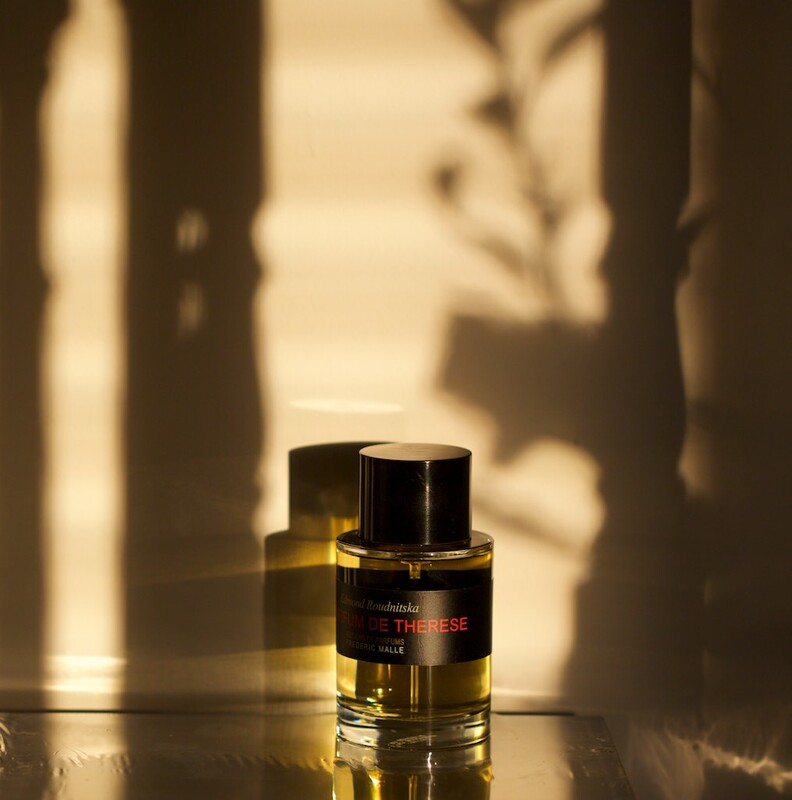 Frederic Malle’s perfumes are very elegant, non-adventurous, fine-tuned, proper, classically designed, and yes, some quite romantic. If you are a woman who dresses for the occasion and you are wearing Iris Poudre, I can’t imagine any man wouldn’t find you elegant and sophisticated. But between “romanticism” and “please tell me a horror story”, I choose the latter; however, there are exceptions, and Iris Poudre is something that my mouth says no, but my heart says yes. P.S. I bought my bottle of Iris Poudre in 2016 and I think it’s not as strong and “granny” as the sample I tested years ago. It actually smells “younger”. Maybe a reformulation has given it a facelift. A few years ago I joined a Hong Kong tour to Japan. Our tour guide was probably the most memorable part of the tour for she had told us many captivating stories while we sat in the bus going from point A to point B. She told us a story about the head of Japan Tourist Board who paid an official visit to Hong Kong to promote Japan: on his first day, he was graciously welcome by the representative of Hong Kong Tourist Board, who took him to a very fancy Chinese restaurant for dinner. They had a great meal, and the check was of course taken care of by the Hong Kong host. The next day the Japanese man did not know where to go for dinner, so he went back to the same restaurant, and asked for the same dishes he had yesterday without checking the menu. When the check arrived, his heart almost jumped out of his chest for it was a 5-figure bill (USD). Now, my questions: can you tell if you are consuming something really really good that probably costs a lot? (Assuming things that are good don’t come cheap.) How often do you say something is vastly superior after knowing it has a high price tag despite the difference is subtle? 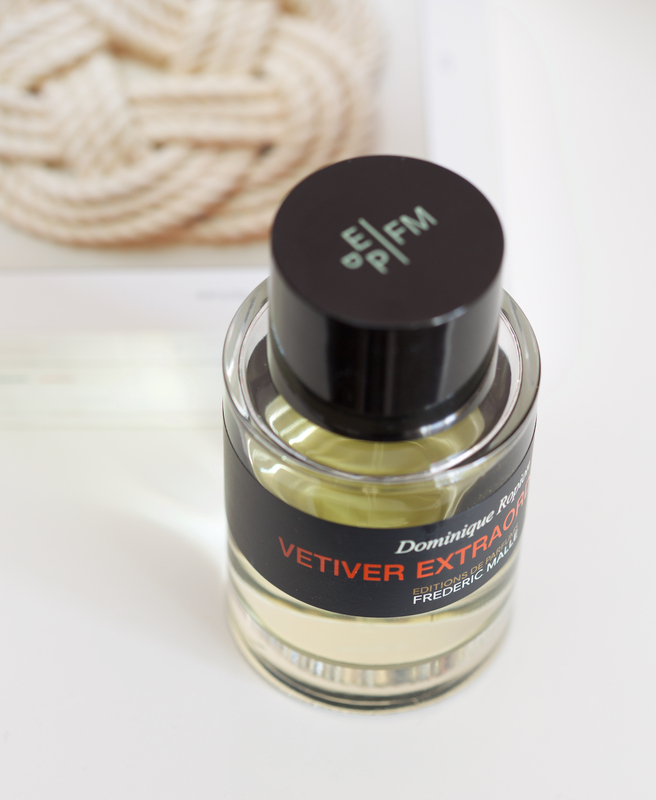 Frederic Malles’ Vetiver Extraordinaire boasts that it contains the most vetiver one can find in a perfume, and the vetiver used has gone through molecular filtering to remove the undesirable aspects of regular vetiver essential oils. Personally, I can’t single out and tell if the special-treated vetiver in Vetiver Extraordinaire is that marvelous that it deserves a high price tag, but to me, the overall smell of the perfume is quite uncommon due to the huge dosage of vetiver used. My coworker’s father was a chef at a Chinese restaurant. And this was one of the reasons why I had always wanted to get a bottle of Le Parfum de Therese, by Edmond Roudnitska. He created this perfume just for his wife in the mid 50’s. Frederic Malle had always wanted to hire Mr. Roudniska to create a perfume for his own line, but it was impossible for he had already passed away in 1996. After he learned about Mrs.Therese Roudnitska’s private blend, he sincerely asked her if he could use the formula under her husband’s name, and she obliged. 2) He wanted to create something not to please his clients, but for himself only, and gifted it to his wife; for all artwork needed an audience. As a video game artist, 99% of my “artwork” are commercial, and I know creating art for others and creating art for myself are two completely different things. There’s a certain romance and mystery imbued in Le Parfum de Therese. And the scent itself is really “strange”, by today’s standard and yesterday’s standard. The accords in this fragrance are as weird as the ingredients found in the TV cooking show “Chopped”, where contestants have no idea what the secret ingredients are, and at the end you have to make a meal out of them. In this case, you open the basket and you find: a cantaloupe, some plums, a pair of leather gloves, and a set of dumb bells. Le Parfum de Therese is a metallic melon perfume with rose and patchouli as back drop. When I first smelled it two years ago, I could not stand it; but I was very attracted to it. After I’ve got Le Labo’s Neroli 36 and conquered the metallic accord, I was ready for Le Parfum de Therese. A year ago I gave my only sample to a friend for I knew I would get a bottle eventually. I even remembered what it smelled like. As always, the price of a Frederic Malle bottle is very prohibitive, but recently I’ve found a reason (sort of) to buy it, and there are no regrets.